This Router Basics tutorial covers routing tailor-made cavities for soapbar pickups, whether they be an EMG, Bartolini, P-90 or a Bareknuckle. Beyond the fundamentals covered here, other articles in the series cover alternatives to this and other more complex routing tasks. Soapbar pickup routs seem simple in comparison to say, a humbucker or maybe a Tele bridge pickup rout. In actuality, they can be pretty difficult to nail. 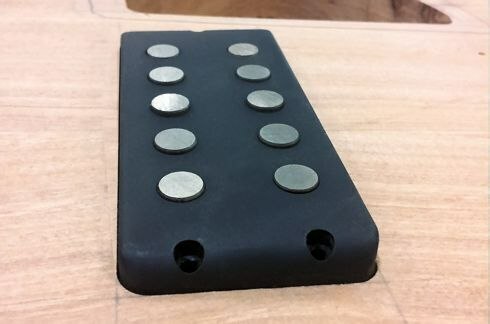 A soapbar cavity's outline is generally in full view instead of being hidden under a pickup ring, pickguard or the bridge; they need to be 100% perfect as any errors will be on show in the finished instrument. A basic soapbar rout consists of a simple rectangle conforming to the pickup with a small gap around the outline and radiused corners that follow those of the pickup case. This is bread and butter templating work for a router, however first we need to make a template, do so accurately and then look at how best to use it. Clean and neat; a Seymour Duncan MM-style pickup in a perfectly routed cavity. This article will describe the fastest route from A to B using simple equipment and materials. Although not the most perfect or any kind of "gold standard", they are the easiest paths to the result and use techniques that can be built upon for more complex work. Expectations of accuracy rely only on your ability to check measure your work, practice and test on scrap before committing to a real workpiece. Anybody that can handle measuring tools, a drill and a router with reasonable confidence will get excellent results. We'll look at places where errors can creep in and how to spot problems before they bake themselves into your templates and your final work. Producing a basic rectangular routing template is easy, however the specifically-radiused corners smaller than our bearing-guided router cutters can manage makes this a little more involved. The approach we'll look at is to do this as two step process; use a drill to establish the corners, then rout the rest of the cavity with the template. A light pass with a chisel/file/sandpaper straightens up the difference between the routed and the drilled parts. Two-stage approach - the red areas show the maximum reach of the router cutter, the green shows drilled corners. The minor discrepancy between the two can be seen in the flyout and is easily cleaned up. We will look at a slightly more complex single-pass method using guide bushings in a separate article in the Router Basics series to keep this tutorial on point. However, most of what we use here is transferable to that approach also and helps build your general working knowledge for templating of all kinds. Nothing that shouldn't already be on hand in your workshop! The primary method we'll describe deals with constructing a basic "fenced" template. This represents the rectangular negative space around the pickup, but most importantly it has square internal corners which we'll need later on. We'll be making a thicker template rather than something thin and flimsy, so dig around your scrap bins! The template needs four pieces of sheet stock good for templating (MDF, plywood, Masonite, dimensioned hard/softwood, etc). In this example, I'll be using 16mm MDF since it is easy to find thick scraps. Each piece needs to have two clean flat sides at 90° to each other. If you are wanting to make a permanent template, the pieces should be narrow enough that they can be drilled/screwed together. A good width for these strips is 1-1/2" to 2" wide (I used 40mm) then cut down into shorter lengths with a mitre saw, table saw, etc. Two long (roughly 8"/20cm) and two shorter pieces (4"/10cm) work for almost any size pickup. Larger pieces can be stuck directly to the workpiece to make a temporary template using double-stick tape and disassembled after use, however you won't get a test run! The thickness of the template stock depends on the length of your router cutter. If your cutter is too long and/or your template too thin the initial routing pass will be extremely heavy, which can produce poor cut quality and isn't safe. For handheld work, a good guideline is that the template should be just equal to or a little thicker than your cutter is long. My smallest template cutter has a cutting depth of 15mm, making 16mm MDF a satisfactory match. What Is A Fenced Template? It becomes immediately obvious how important it is that the fence parts have those two straight edges at 90° to each other! If your fence joins do not close up cleanly, or straightening one part throws another out of alignment, check your pieces (and perhaps the pickup) with a set square for straightness and perpendicularity (that spellchecks, so hey). Any gaps caused by poorly-fitting parts will be apparent in the end result. When correctly made, this fence will represent a razor-tight copy of the part's outline. Note: most soapbar pickup cases will have a draft angle on the side walls; these are a design byproduct of the moulding process which allows the part to de-mould easier. The fence parts need to be aligned with the lower edge to make a correctly-sized template! A tight copy of the pickup outline sounds good in theory, however it will not leave breathing room for any sort of basic fit or any finish. A pickup cavity created from template like this will just be too tight in practice. The fence arrangement described above needs easing by shimming out the pickup slightly so that the final fit is more appropriate for the end use. 2 layers of masking tape applied to all four edges adds a hair of width: enough for a simple non-building oil/wax finish, or in fact no finish at all. This is the minimum that should be considered for any cavity made from a fence, and equates to a border (in the case of 3M blue Scotch tape) of around 11mil/0,3mm or a sum easing of 22mil/0,6mm on the length and width. 3-4 layers is about the maximum before tape becomes less consistent in how much size it adds. This is enough to allow for a thin layer of conductive paint or a thin non-built layer of Tru-Oil (or similar) within the cavity. Thicker built finishes need more easing than tape can reliably provide. Note: the casing did not measure out as 3,5" x 1,5" (88,9mm x 38,1mm) as per the datasheet! Heavier easing can be achieved through the use of veneer scraps, pieces of a chopped up credit card (thickness is exactly 0,03" or 0,76mm) or other strong thin material of known thickness. Simply cut two pieces; one slightly shorter than the width of the pickup and one shorter than the length. Stick them to the inside face of your fence with a glue stick or something else you can remove later on. If you want a lot of easing, it's just as simple to shim both sides or double up the material. If you have access to tooling accurate enough to produce a stand-in part for the pickup, this is an excellent option. This can be cut to a specific size to add an exact amount of easing that you want. If you dimensioned all of your template stock to the same width as the pickup surrogate part, this arrangement is also possible! If you are making a temporary template direct to your workpiece, you can simply stick the parts straight to it using double-sided tape and skip this section. However, most people will want to make a template they can re-use and that can be tested on scrap. After lining up your fence parts around the pickup and easing as you think most appropriate, mark out where the mating faces are located. These visually help us to put glue only where it's needed, saving work cleaning the template later. Better than trying to remember which bit goes where with glue running around! Apply a little glue to the mating faces on all four joints and reassemble. Only clamp parts finger tight or use a little masking tape over the joints to keep them secure; we're not expecting a strong bond here (especially with MDF); just enough that the parts stay in place for the next stage. Check that the parts are still snug to the pickup. Glue works as a lubricant when wet, and any pressure clamping this up can cause parts to skate around. Again, finger tight and check carefully because errors here will come out in every cavity this template cuts. Once the template is stable, gently remove any clamps and the pickup. Drill pilot holes to full depth for four screws. MDF is extremely weak and splits when you force screws into it. I chose to use a 4,0mm pilot to compensate for the 5,0mm threading. Countersinking is a nice touch but only necessary if you want to locate the screw heads below the surface. Clamping the MDF between two pieces of wood during screwing also helps prevent splitting. Whichever material you use, pilot holes are essential. Result - a quick, easy and accurate router copy template ready to be cleaned up. Using stock in this method to create fenced templates is quick and economical with no mess. Keeping a bunch of thin dimensioned strips on hand specifically for template making means you can quickly fabricate them to whatever size you require before you can say, "Titebond setting up time". As discussed earlier, we will be carrying this out in two main stages. Firstly, we place the template and use the internal corners to establish the corner radius through drilling. Secondly, we use our router to cut the rest of the cavity. Lastly, the difference between the drilled corners and the routed cavity are cleaned up. I guess that sounds like three, but it's not really. Can we agree on two? Great. Attaching the template to the workpiece (preferably a test piece first!) requires that it is either clamped down or attached with double-stick tape. We also need a little masking tape. For drilling the holes, a lip and spur bit (with a sharp well-centred point) plus either a pillar drill or hand drill. For routing, a short bearing guided template cutter either in a hand router. Briefly clamping down a template causes the double-stick tape to adhere very strongly! A little goes a long way. Most soapbars have corner radii which are smaller than our typical bearing-guided router bits, so instead we need to let our drills do the work for us. Choosing the size bears a second of thought. In the example used for this tutorial - an EMG-35 pickup - the corner radius is about 1/8" (3,175mm). We can either copy this by using a 1/4" diameter drill bit, or we can increase it in relation to how much we eased the outline earlier. The plastic card I used to shim the pickup on all four sides was exactly 0,03" (0,76mm) thick. Adding this to the corner radius and doubling that produces the "ideal" size of drill I should be using; 0,31" of which the closest Imperial size is 5/16". 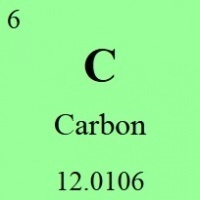 The closest common Metric size is 8,0mm. Ideally we should try to round down rather than round up; a larger drill bit diameter brings the corners closer in to the pickup. Alternatively, you can just use the same corner radius as the pickup itself. I'll demonstrate a number of sizes so we can see how they compare visually in the finished example. Firstly, we need to protect the template from the drill. A small piece of masking tape does this well. Next, place the drill bit square into the corner. This is far easier with thicker templates. Tapping the drill bit with a small hammer or similar creates a strong location mark for the drilling itself. The finished hole. Clean and located perfectly. Over time this process can damage the template however, leading to less accurate corner location. Still, a small price to pay and making new templates once in a while is simple. The router was fitted with a 12mm diameter 15mm deep cutter to make an initial pass a few mm deep. The setup was checked to ensure that the bearing was contacting the template. After the first pass, we can immediately see the discrepancy between the drilled corners and the routed area. Removing the template shows the differences in corner radii. Let's have a closer look at those. 5/16" - the size calculated to match that of the pickup corner radius plus the offset from shimming. It might look overly large to some, but it clearly conforms to the radius when you inspect it in person. 1/4" - identical size to the 1/8" corner radius. That also looks perfect in spite of there being no size compensation! As it stands, the template is extremely usable and repeatable in spite of its simple construction. Thicker sheet stock definitely improves accuracy during the corner drilling procedure however. I found that 16mm (5/8") stock is about the minimum before drill alignment becomes tricky. A useful addition to the templates is alignment marking. These can be done either as simple pencil lines or location holes drilled through to provide highly-accurate visual alignment reference. Firstly, flip your template over so that the underside is on top, then mark out the centrelines accurately. Check and double-check these from both sides using as many methods as you can! Place the template on a piece of scrap, centrepunch and then drill all holes through cleanly. Drilling from the underside ensures that if the drill wanders away from the centre during the cut (I used a cordless drill) then the underside is guaranteed to be correct, and this is what matters. Next, flip the template right-side up. Using a countersink, ream out the holes until the tip of the countersink touches the scrap board underneath. Countersinks tend to "drive" suddenly, and then stop advancing. Clean out the cutter and then give it another try to advance deeper. This took me two passes each. This is what the finished template alignment marks should look like, and how it works. If you enjoyed and benefited from this article. become a Patron of ProjectGuitar.com and help us actively continue bring you even more articles, tutorials and product reviews like this, week-in week-out. We appreciate your feedback in the comments section, and we hope you enjoyed this tutorial! 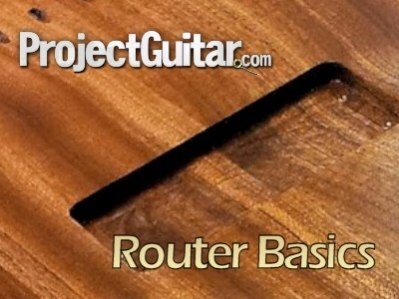 Router Basics: Simple Soapbar Pickup Routing by Carl Maltby is licensed under a Creative Commons Attribution-NonCommercial-ShareAlike 4.0 International License.